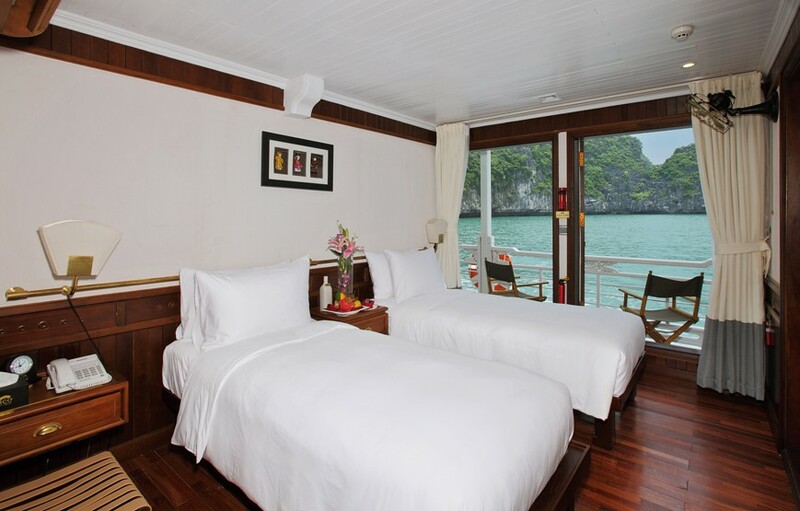 Canary cruise is one of new cruises in Halong bay at this moment, newly built wooden junks are designed in the time-honored traditional style, but with contemporary, deluxe cabins and facilities, including sea-view windows in each cabin, private, modern bathrooms, and a comfortable sundeck bar. 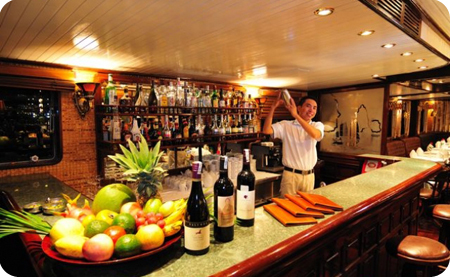 The cooks will serve you the tastiest traditional Vietnamese foods, and our staff will help you learn about our current lives as well as our ancient history. 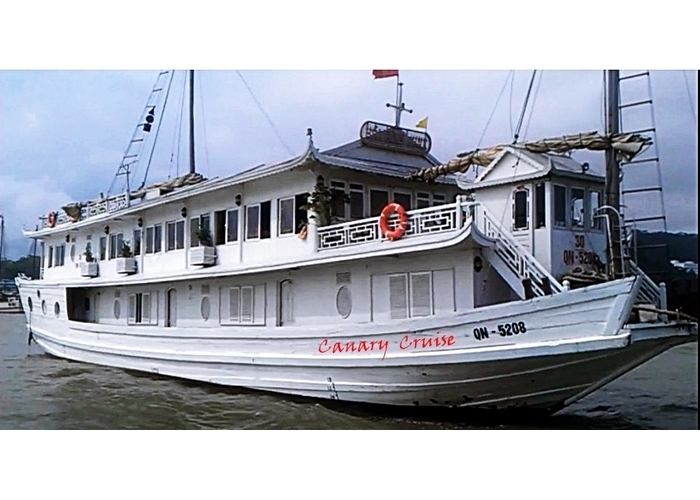 Carnary build in 2012, covers 9 deluxe cabins, 1 bar and 1 sundeck. 7:40 - 8:30 Our bus will pick you up at your hotel. 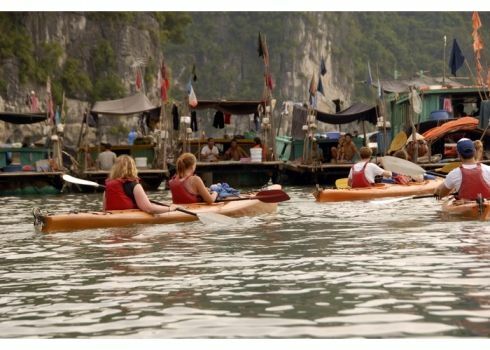 14:30 Visit Halong floating fishing village and discover surrounding area by kayaking or local rowing boat. 15:45 Back to the boat and continue cruising to the beach. 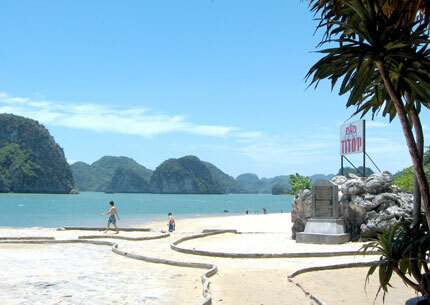 17:00 Arrive at Titop beach. 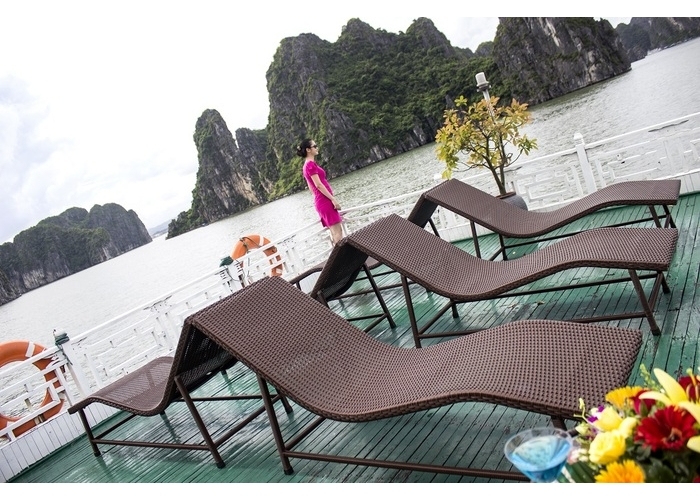 Enjoy swimming, relaxing on the beach or climb the steps to the top of the island to take the romantic moment of sunset by your camera and have the overview of Halong bay from here. 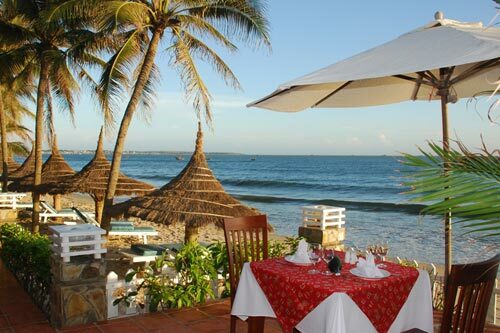 19:15 Set dinner is served with a variety of Vietnamese fusion cuisine. 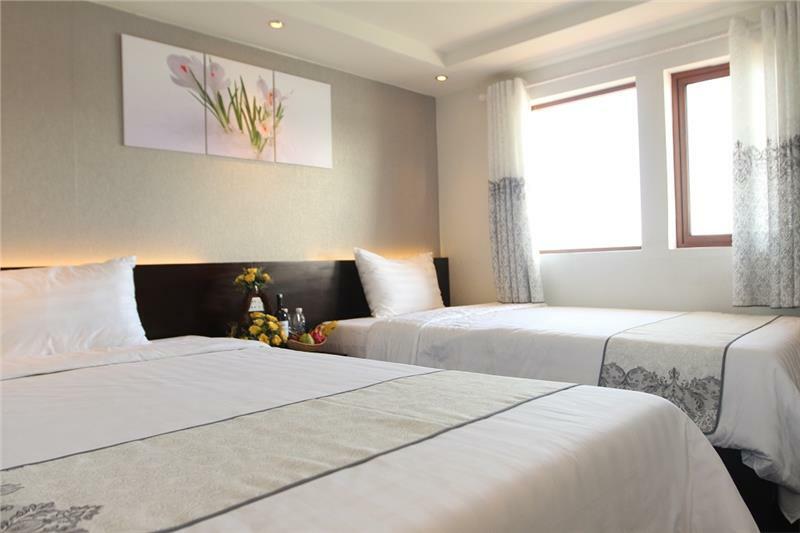 20:30 Retire to your cabin or join the fishing excursion, watch a movie or karaoke and drink at the bar , internet access or play some board games. 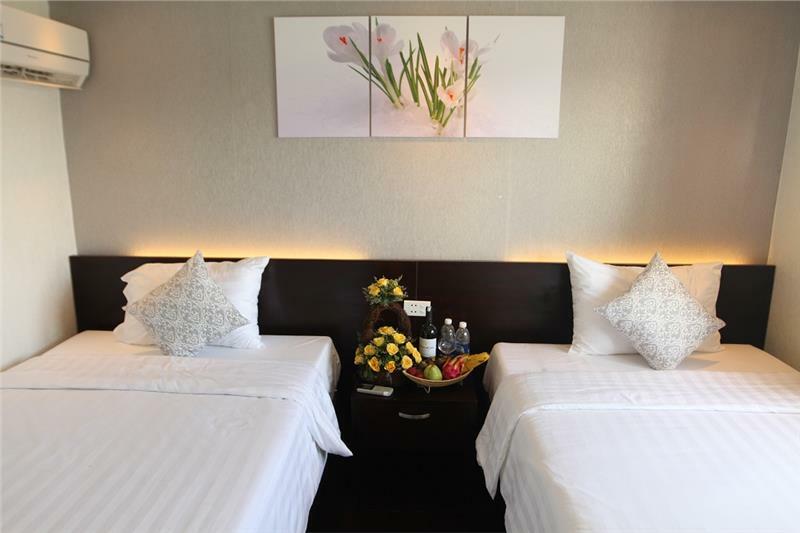 8:30 Drop anchor to visit Sung Sot cave (Surprising cave). 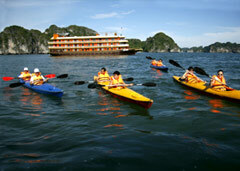 This is one of the biggest and most beautiful caves in Halong Bay. 9:30 Back to the big cruise, relax before check out. 10:00 Join the staff with cooking class where you learn how to make Vietnam spring roll. 16:30 Arrival back at your hotel , tour ended. 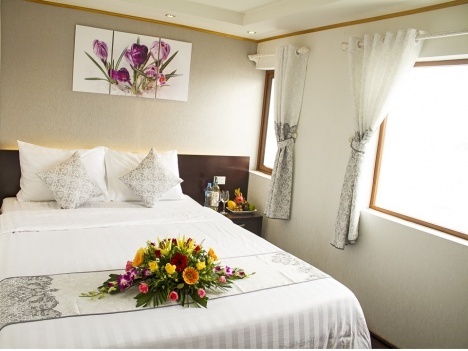 + Full furnished deluxe cabin with hot water, air conditioning,safety box…. 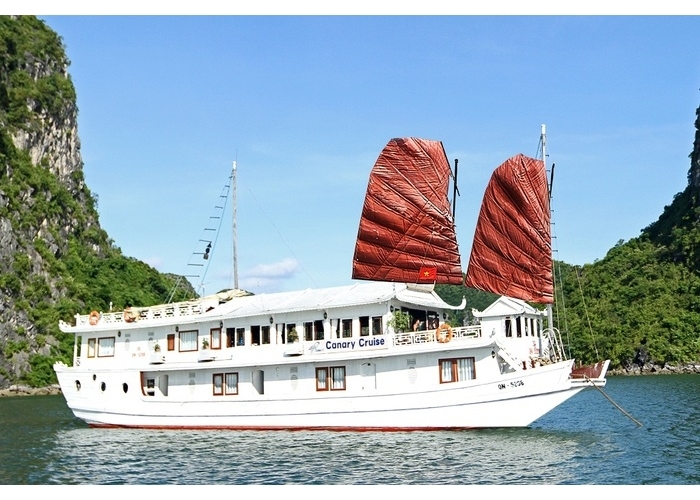 + Free wifi 24/24 on board. + Bottle of mineral on the bus. 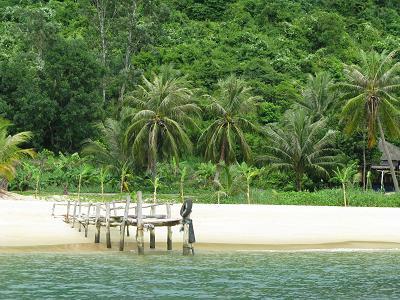 14:00 Swimming, snorkeling or relaxing on Ba Trai Dao island (three peaks island), one of the most beautiful isolated beaches (private, wild and fresh air). 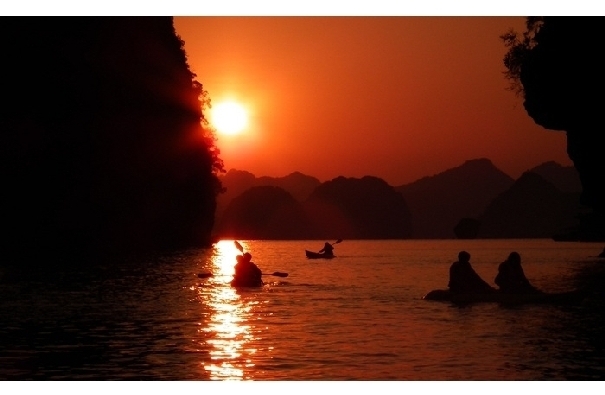 You also can discover the wild surrounding area by kayaking. 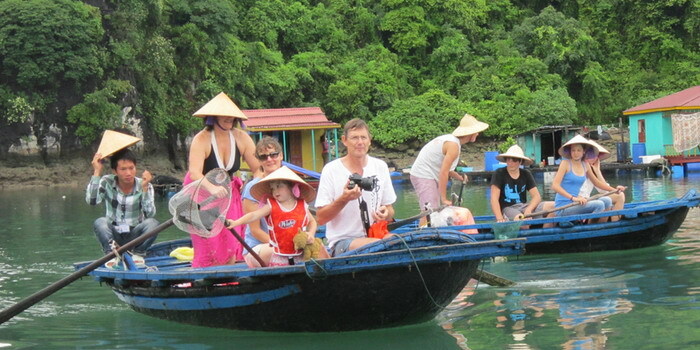 15:30 Visit Halong Pearl farm village to learn how local people are farming oysters and collecting pearls. 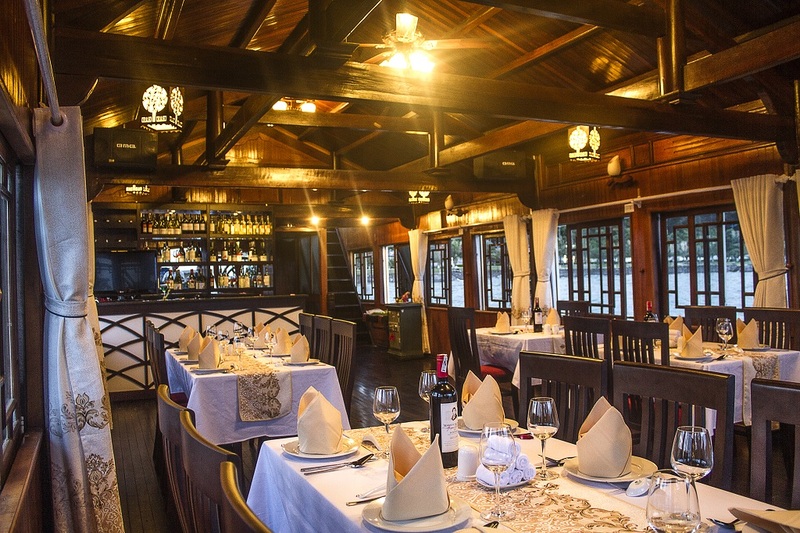 21:00 Retire to your cabin or join the fishing excursion, watch a movie or karaoke and drink at the bar , internet access or play some board games. Overnight on board.